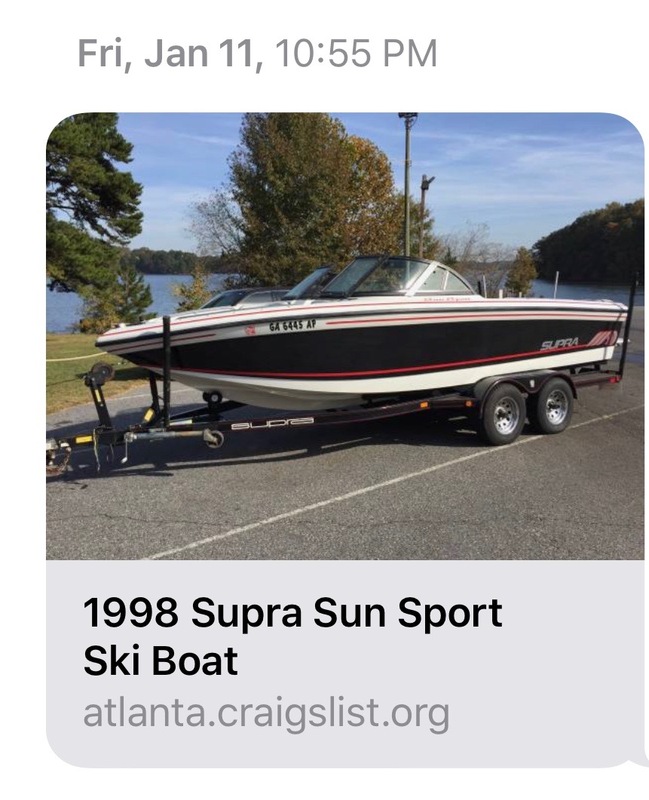 Minnesota resident here that just purchased a '98 Supra Sunsport and towed it home from Georgia. Given the trip was 1,100+ miles I had the boat shrink wrapped to keep it protected from road grime. Pulled it into the heated garage when I got home, and removed the wrap. The wrap did an excellent job keeping it clean, but all along the bottom edge I have residue from the shrink wrap tape. Goo-Gone seems to take it off with some serious elbow grease and time, but figured I would check here if anyone has a better method of removing it? I imagine quite a few people here shrink wrap their boats for the winter. Congrats on the purchase! Saw that one on Craigslist. That black/ white combo with red striping is very classy. Post up some good pics when you have a chance. As far as sticky, goo gone is your best bet unless a combination of vinegar/ warm water doesn’t do the trick. Definitely need to re-wax once removed. Once again, congrats and welcome to forum. Good idea on the vinegar, I'll give it a try this weekend. I'm a big fan of the black and red myself. I wish they still had the retro Supra font, but overall I think it is still a very clean look. I will be starting a build thread soon, and I'll post up some pictures in there. KENT Acrysol is a mild adhesive remover.